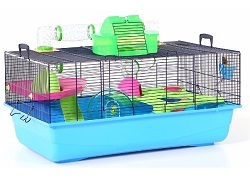 Comes with water bottle, exercise wheel, food bowl and transportation unit. 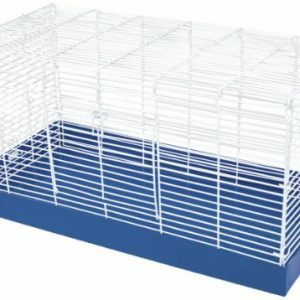 Modular in design and easy to clean allowing for lots of customization. Plenty of ventilation provided by air vents. 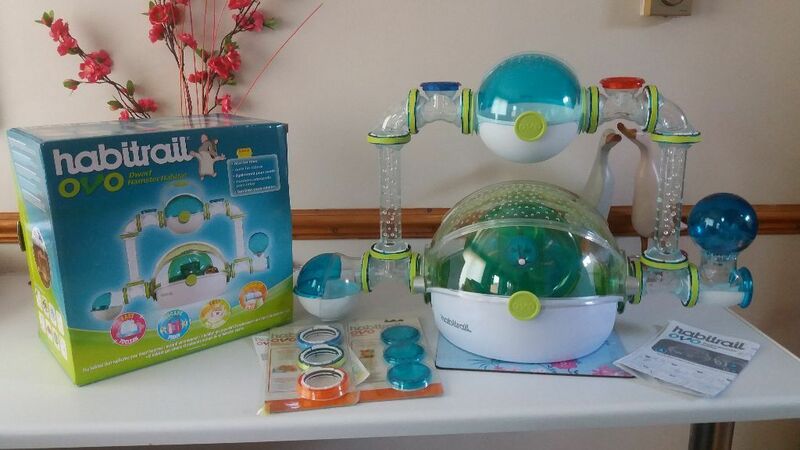 Loads of fun and activity for your hamster or mouse. 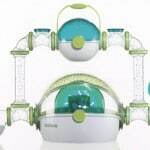 The Habitrail OVO Dwarf hamster habitat is a space-age looking trendy habitat for small hamsters and mice.Habitrail is a company that has been around for many years and is a well respected name amongst small animal lovers especially when it comes to modular hamster habitats. 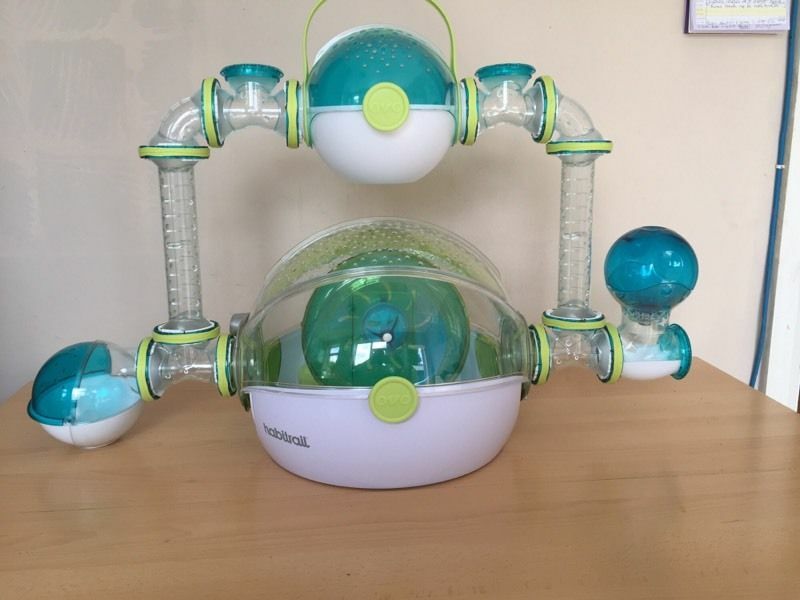 As with all habitrail hamster products the OVO habitat is cross-compatible with other types of habitat through the use of hamster tubes. 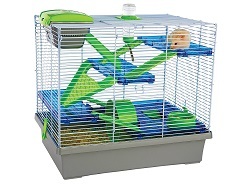 This feature makes it ideal for space upgrade if you have adopted some baby dwarf hamsters that will need more space as they grow older, or perhaps you’re on a budget and want to get a starter hamster setup with a view to expand in the future when funds permit. 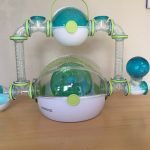 Aside from the tubes, your pet will enjoy the elbows, den, retractable rood, exercise wheel, stairs and a feeding dish and water bottle saving you the need to purchase these necessary extras for your pets wellbeing. 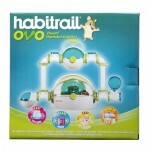 The Habitrail OVO cage can easily be expanded to make it as big and as unique a habitat as your imagination allows! 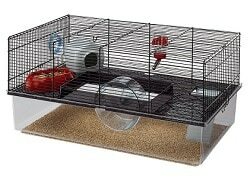 Keep the OVO smaller if you only have one hamster, or expand it for multiple hamsters… the choice is yours! 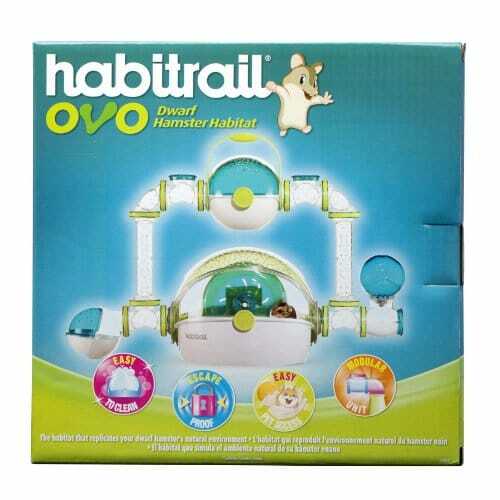 The OVO has a unique Space-like style with its brightly colored plastic and shape. 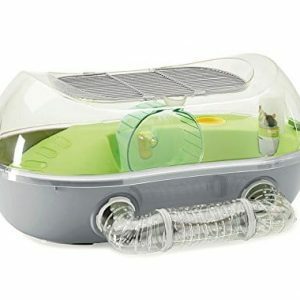 Adults and children alike will love to watch their hamster or mouse making use of the trails and move around their home through the tubes and the pets themselves will live a more enriching fun life because they are natural burrowers and tunnels. 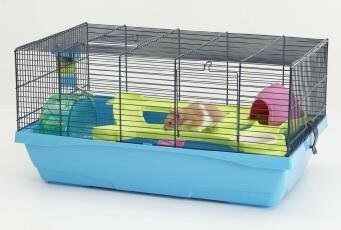 The Habitat OVO tubes are adapted to suit smaller hamsters in order to give them the illusion of their natural environment. 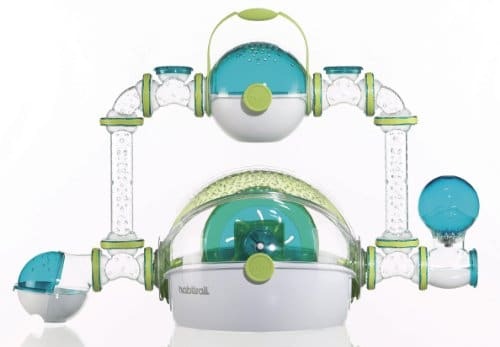 Be the first to review “Habitrail OVO” Click here to cancel reply.